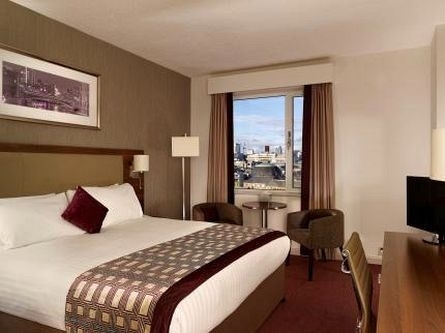 Situated on Jamaica Street, our four star hotel in Glasgow is within a ten minute walk of three major stations- Glasgow Central, Queen Street and Argyle Street making it the ideal hotel for transport links within the city centre. 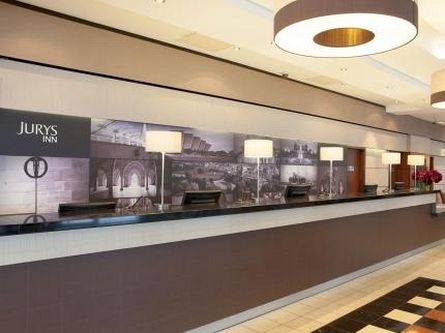 With an easy three minute train ride (or 20 minute walk) to the Scottish Exhibition and Conference Centre and The Hydro Entertainment Arena, Jurys Inn Glasgow is perfectly placed for both business and pleasure guests. 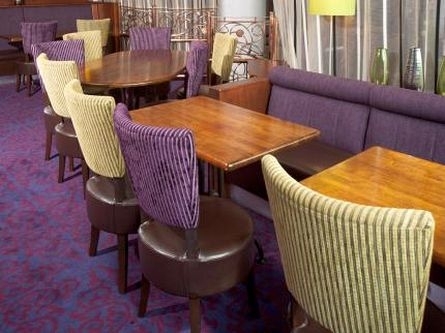 Our four star Glasgow hotel is also a stone’s throw away from a plethora of restaurants and bars, a three minute walk from St Enoch shopping centre and just around the corner from Alston Bar & Beef, the best steak and gin that Glasgow has to offer located beneath Glasgow’s Central Station. Steeped in heritage, this city also has plenty of beautiful old buildings and monuments to explore, from breath-taking Glasgow Cathedral to George Square, offering guests a taste of Glasgow’s rich history. 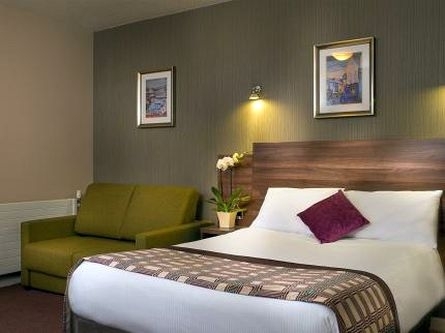 Jurys Inn in Glasgow offers 321 comfortable, stylish and affordable hotel rooms able accommodate up to three adults or a family of four (two children, two adults). 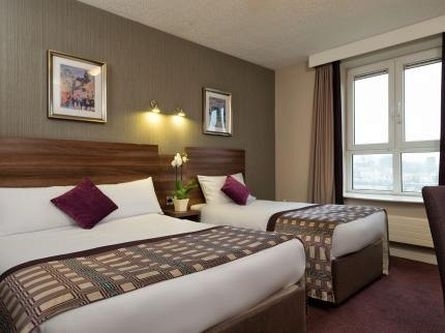 All our Glasgow hotel rooms are en-suite and come with complimentary toiletries, a flat screen TV, free WiFi, air conditioning and room service available 24 hours. To ensure a comfortable night’s sleep, our rooms are equipped with large soft beds, with extra pillows and linen available on request. 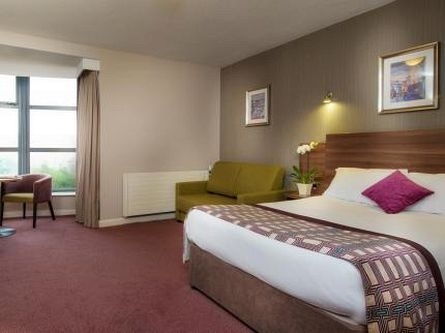 Jurys Inn provides a number of wheelchair accessible bedrooms. 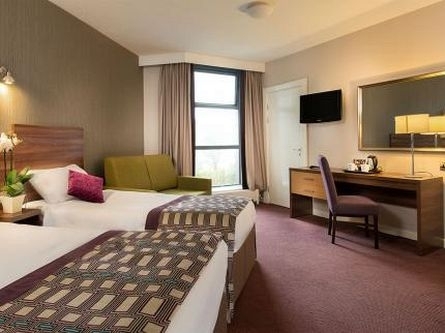 These rooms have been designed to the highest specifications and include wide doorways, manoeuvrable floor space, accessible bathrooms and emergency cords to ensure your stay with Jurys Inn Glasgow is as easy and pleasurable as possible. Enjoy a little Scottish flavor at The Grill Bar, our newly refurbished bar and restaurant, and relax with a drink or a tasty Scottish dish. 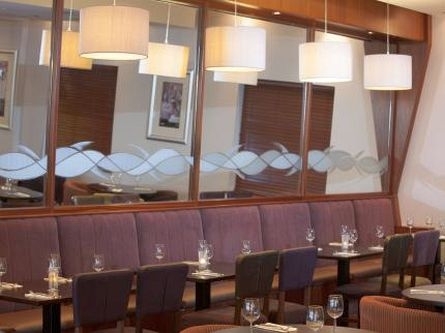 If you want a two or three course meal, we have a fantastic contemporary restaurant with a range of delicious dishes on the menu. For our younger guests, we also provide a kids menu. Room service is available from 12pm to 10pm and a smaller night menu is also available from 12pm to 6am. Full details can be found on the room service menu in your hotel room. 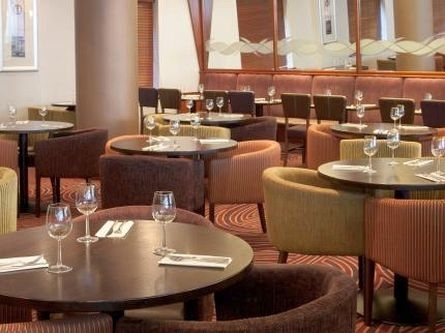 Enjoy a rich coffee or delicious hot chocolate from our all-day Costa coffee bar where you can sit with a newspaper, curl up with a good book, or surf the web on Jurys Inn’s hotel-wide free WiFi. If you are a visiting Glasgow on business, we have 10 fully equipped meeting rooms able to accommodate up to 110 people, depending on layout. Our business packages offer tea and coffee refreshments, lunch options and dedicated event staff on hand to ensure your meeting runs as smoothly as possible. So whether you are planning a meeting, training session or a sales presentation, Jurys Meetings are perfectly tailored to your business needs. 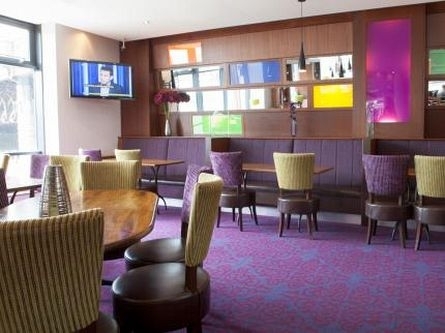 For the full view, why not explore the virtual tour of Jurys Inn Glasgow. 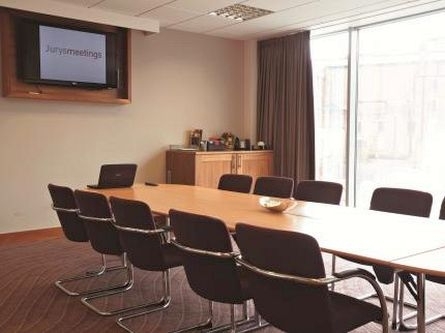 If you happen to be travelling to Scotland’s capital on business, then our Edinburgh hotel also has 5 meeting rooms to accommodate as many as 50 guests.